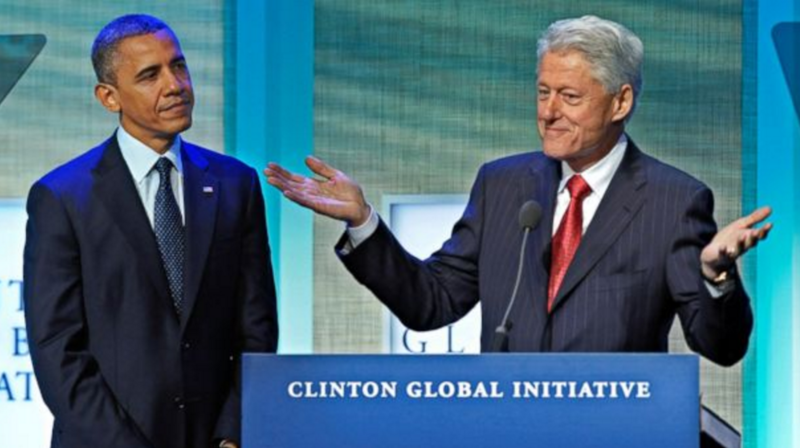 30 years of Neoliberalism made Clinton and Obama rich. During the past election cycle, our political elites, oligarchs, and the DNC decided another eight years of neoliberalism was just the medicine America needed, and they did everything in their power to ensure that it happened, regardless of what America really wanted. Hillary Clinton’s campaign and the elite oligarchs relied exclusively on the propaganda megaphones of the New York Times and the Huffington Post to broadcast her message. In fact, reporting on the 2016 election by the New York Times was so biased and deceitful that its owner issued subscribers a written apology promising change and an investigation. Election 2016: A Sure Thing Or Was It? Forecasters, pollsters, and pundits all “guaranteed,” with a 99 percent probability, that Hillary Clinton would be the victor in the US election, even though, a national poll reported only 6 percent of Americans viewed Hillary Clinton as honest and trustworthy. In spite of Hillary being in disrepute, America’s heavily biased media rallied around, and parroted, her highly negative, divisive, and mean-spirited campaign “message.” Hillary’s message utilized a propaganda technique first championed by Joseph Goebbels, the Nazi party’s head of enlightenment and propaganda—if you tell a lie big enough and keep repeating it, people will eventually come to believe it. To be clear, Hillary Clinton and her cabal of complicit, corporate-owned, pay-to-play media spun a false narrative to misdirect and terrify voters, subliminally instilling a message of FEAR and HATE. The indoctrination mantra crafted to deliver this payload of fear and hate went like this: Donald Trump is misogynistic, racist, sexist, anti-Semitic, xenophobic, homophobic, Islamophobic, and a serial liar. He’s the next Hitler and the most dangerous person to ever run for the presidency. And, it didn’t stop there. By inference, all Trump voters, indeed all Republicans and Trump appointees, must share similar values. Her money base consisted of pay-to-play financial elites, neoconservatives within the military industrial complex, and left-leaning liberal consumers from New York and California. These liberal elites, sipping Dom Perignon in their hundred-million-dollar penthouses, sponsored “I’m with Her” fundraisers while listening to Jay Z’s misogynistic rap and giggling with Hollywood A-listers. And all the while, Team Hillary (Robby Mook, John Podesta, Joel Benenson, and Hillary Clinton) were tone-deaf to the economic plight of everyday America. Pichai’s statements are enough to send chills down George Orwell’s spine given that the New York Times, ABC, CNN, MSNBC, and NBC are not exactly pillars of journalistic integrity—in fact, they are sometimes worse than “fake news” websites. In addition to the more established media, along came Facebook, Twitter, and Google—companies that are already selling data to governments. Google and Facebook have been caught manipulating algorithms to make political candidates look more favorable. Twitter uses “Shadow-blocking” and algorithm manipulation to “fix” which stories trend and which don’t. Frightened yet? You should be because suppression of free speech is a fascist tactic. Should we worry? You bet. There are no checks and balances on Facebook, Twitter, or Google. Additionally, Google and Facebook have recently admitted to arbitrarily manipulating news flows and have promised to “change” things. Matt Lieberman uncovered that Google was involved in actively altering search recommendations in favor of Hillary Clinton’s campaign. The media actually suppressed WikiLeaks’s disclosure of Hillary Clinton’s Goldman Sachs speeches. During these speeches, Hillary proved that her public and private positions were vastly different. When the DNC usurped democracy by disenfranchising Sanders, Clinton adopted Bernie Sanders’s populist messages stating, “I will fight hard to end the stranglehold that the wealthy and special interests have on so much of our government.” But if you read the speeches Hillary gave at Goldman Sachs, it is evident that the private Clinton is completely at odds with the public Clinton. What’s very scary about the situation our world finds itself in is how our political elites, in concert with their media propagandists, spin the idea that the public’s growing distrust is corrosive to government authority and democracy. This gives the elites the excuse to claim there is no other option but to censor the Internet—because if it’s not news for the elites, or news approved by the elites, it must be fake. Traditional media has ignored all conflicts, bias, or potential pay-to-play connections between Google/Alphabet and Hillary’s political campaign. During the past four years, Google/Alphabet employees visited the White House nearly once a week and spent more money lobbying in Washington than any other single company. In 2009, Jared Cohen, a Hillary Clinton staffer was hired by Google to head Google’s internal think tank. In 2015, Hillary Clinton’s campaign hired senior Google executive Stephanie Hannon as the presidential campaign’s chief technology officer. Google’s CEO, Eric Schmidt, even started a company to manage Hillary Clinton’s digital campaign. In 2016, Eric Schmidt, executive chairman of Google’s parent company, Alphabet, was appointed by Defense Secretary Ash Carter as chairman of the Pentagon advisory board. Hillary Clinton has not condemned these violent protests either. Even though before the election, Clinton said, “We’ve been around for 240 years. We have had free and fair elections. We’ve accepted the outcomes when we may not have liked them and anyone who doesn’t is an enemy of democracy.” Once again, liberals show that they believe in democracy as long as it goes their way. There is no calming voice of reason, and as WikiLeaks points out, the violent protests have ‘mega-donor’ George Soros’s fingerprints all over them—a fact that is not being reported in the media. Appearing on Stephen Colbert, just as Donald Trump won Florida and became a lock to win and become president-elect, Mark Halperin said, “Trump is on the door step of 270 electoral votes.” Colbert replied, “Wow, wow, that’s a horrifying prospect. I can’t put a happy face on that, and that’s my job.” Halperin said, “Outside of civil war, WWII, and including 911, Donald Trump being elected as president may be the most cataclysmic event this country has ever seen.” Mark Halperin is co-managing editor of Bloomberg Politics and a senior political analyst for MSNBC and Bloomberg Television. MSNBC’s political commentator and host of The Rachel Maddow Show stated, “As Mr. Trump edged towards victory, you are aware you are not having a terrible, terrible dream. Also, you are not dead, and you haven’t gone to hell. This is your life now; this is our election now; this is us; this is our country; this is real.” The left claim to be liberal and accepting—if you agree with them. Otherwise, liberals become a bunch of intolerant fascists. In 2015, I told people Donald Trump would win this election. Well, he did. And now we need to come together and support our president-elect and the democratic process. Let’s look beyond the propaganda and be the progressive, tolerant, and inclusive country that we know as America—the land of the free and the home of the brave. Our electoral process has spoken. It’s time for Americans to join together, to unify and rally behind President-elect Trump and Vice President-elect Pence.